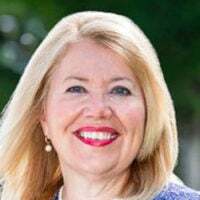 Congresswoman Debbie Lesko represents Arizona’s 8th congressional district. She is a member of the House Freedom Caucus. Every year, the anniversary of Roe v. Wade allows all of us to reflect on the battles fought in defense of the unborn, and to look ahead to what comes next. And with Nancy Pelosi back in the driver’s seat in the House of Representatives, we are sure to see bitter fights ahead. 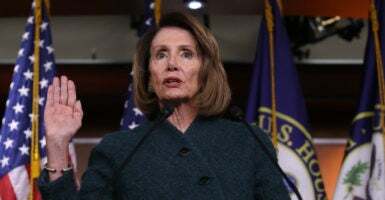 One revealing moment for the pro-life community came when then-President Barack Obama and the once and current House speaker, Pelosi, negotiated a deal with fellow Democrats to pass Obamacare in 2009 and 2010. At that time, perhaps no one proved a more difficult obstacle within the Democratic Party than Michigan’s Rep. Bart Stupak. What made Stupak so formidable was his firm commitment to the right to life for the unborn. The events that transpired to ultimately win Stupak’s vote, along with a handful of other pro-life Democrats, was telling about the Democratic Party’s fervent commitment to abortion—and a good reminder for pro-life Americans today. From the beginning of Democrats’ push for Obamacare, Stupak expressed support and a desire to help. There was just one problem: Stupak opposed taxpayer funding for abortion, and Obamacare used taxpayer dollars to pay for abortion through an abortion surcharge and through required coverage in most plans, which Americans would be required to purchase. Stupak worked with Republican Rep. Joe Pitts of Pennsylvania to craft the Stupak-Pitts Amendment, which would have ensured that the unborn were protected in Obamacare. For his efforts, he was publicly lambasted by abortion activists. Liberal filmmaker Michael Moore even said he was personally trying to recruit a primary challenger to bring him down. So much for the party of choice. By the spring of 2010, with an Obamacare bill passed in the Senate, Stupak was facing fever-pitch pressure to cave. Ultimately, as his coalition of pro-life Democrats dwindled, he gave in after eliciting a promise from Obama that he would protect life through an executive order, which proved to be ineffective. This history makes vividly clear something that the pro-life community has long acknowledged about the pro-choice movement: They don’t actually support choice, they just support abortion. And after passing Obamacare, Democrats solidified their standing as the party of abortion. They became so beholden to the abortion agenda that they fought Catholic nuns all the way to the Supreme Court in an effort to force them to cover abortion-causing drugs in their health insurance plans. These are not the actions of a party interested in “choice,” but one interested in sending taxpayer dollars to fund abortion, plain and simple. That’s why congressional efforts to end grant funding to abortion providers like Planned Parenthood are such a big issue to them. And it’s why one of the first things they did upon regaining control of the House was to slip a little-noticed provision into their efforts to reopen the government: a repeal of the Mexico City policy. The Mexico City policy was begun during the Reagan years. It blocks U.S. aid money from being used to fund abortions overseas. Consistently, polls have shown that a significant majority of Americans—around 60 percent—oppose using taxpayer dollars to fund abortions. But the will of the people has never stopped abortion-on-demand supporters, and no amount of language about a woman’s right to choose can conceal the left’s actual agenda: not helping women, but helping groups like Planned Parenthood boost their abortion numbers. For the next two years, moves like this will be par for the course for this Democratic majority in the House. And for the next two years, pro-lifers need to vocally sound the alarm. That’s why House Republicans during their first actions of the new Congress tried to remove this anti-life language from the bill. And it’s why hundreds of thousands of women, men, girls, and boys will be on the mall to remember that anniversary once again this year and stand together for life.